The 10 Best Garden Centers and Nurseries in West Virginia! 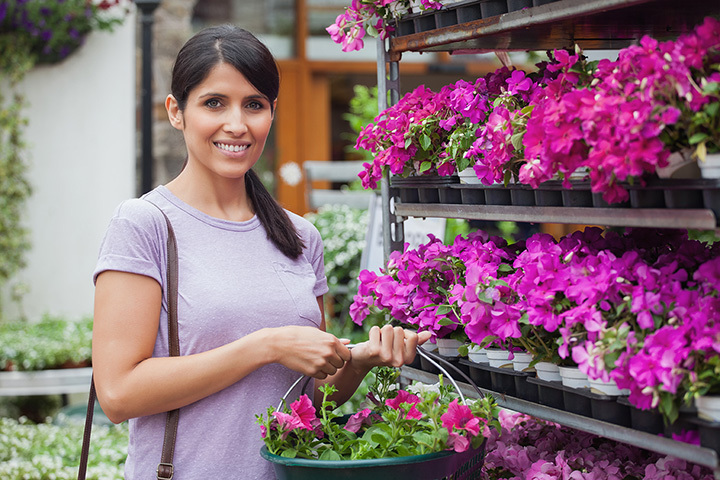 If you’ve ever wanted to exercise your green thumb, you’ll find a variety of excellent garden center and nursery options in West Virginia. Creating a beautiful and functioning garden or landscape has positive effects on our mind, our body, and the environment. A great design can increase property value, and the self-satisfaction from enjoying something you’ve planted yourself is beyond compare. Here are the 10 best garden centers and nurseries in the state! Family owned and operated, D&S Garden Center in Charleston, West Virginia, is the place to get bulk mulch, trees, shrubs, and top soil. They also specialize in offering Grandpa’s Special Mix Feed, a high protein mix to help raise a healthy herd. Originally started as a landscape business, Greenbrier Nurseries in Beckley, West Virginia, has evolved to much more since 1956. The nursery began specializing in container gardens, dwarf trees, and merged with several other garden centers over the next 20 years to become a premier retailer and wholesale source for plants. They have their own line of genetic seeds called Hort Couture, and have been named one of the “Revolutionary 100” by Today’s Garden Center Magazine and “The Retail 100” by IGC Magazine. Located in Wheeling, West Virginia, Nicky’s Garden Center is a family-owned community garden center that offers a wide variety of plants, including organic varieties, landscaping services, and lawn care. Housed in a historic 1800 farmhouse, there’s a gift shop and organic coffee shop on premises that features products from Ball, Espoma, Burpee Seeds, and Bonide, and candles from Crossroads, Root, and Candleberry Co. Open year-round, they start selling fresh produce in early July and everything is locally grown. Originally built in the 1940s, the nursery, greenhouses, and property have all been revitalized with modern facilities and equipment to make it efficient. Colonial Farm Nursery and Landscaping in Martinsburg, West Virginia, carries a wide variety of trees, shrubs, plants, and mulch, and knowledgeable staff are always on hand to answer questions you may have. A large display house on site is open to the public for special items and ideas on seasonal displays. They also offer discount programs like Frequent Buyer’s Club and the Seasonal Buyer’s Club. With collective experience totaling over 100 years, Valley Gardens in Charleston, West Virginia, offers the best in all things landscaped. Specializing in commercial landscaping projects seen at numerous churches and synagogues throughout the Mountain State, they also do excellent work on residential areas and work with homeowners to transform a mediocre area into a great outdoor living space. As one of the Kanawha Valley’s garden centers that stocks a large selection of trees, shrubs, perennial and annual plants, homeowners can also purchase topsoil, mulch, and other planting material to make their gardens grow. With more than 20 retail locations in 4 states, Meadows Farms Nurseries & Landscape in Harpers Ferry, West Virginia, sells to individuals and to wholesale markets. Pricing is lower than most independent garden centers and helpful growing tips are available free of charge. Discounts are given to military and senior citizens, and there is a VIP program designed to save even more. Donaldson’s Greenhouse & Landscaping in Richwood, West Virginia is the place to go if you want quality greenhouse and landscape services and supplies. Besides offering the best in these products and services, Donaldson’s is a member of the WVFarm2U Program, a division of the Farm2U collaborative effort to promote Culinary Cultural Agritourism in Appalachian states. From humble beginnings to over 29,000 square-feet of greenhouse space and a thriving business that includes soils, mulch, fruit trees, shrubs, grasses, roses, and perennials, Freed’s Greenhouse in Bridgeport, West Virginia can help beautify your home or business. With over 2,000 hanging basket choices, that’s just one example of the variety you’ll find for your special area. If you want a professional horticultural service that is committed to providing high quality services at reasonable prices, then visit Greenbrier Valley Dreamscapes in Lewisburg, West Virginia. From simple bedding plants to any type of garden design like butterfly gardens, herb gardens, and rose gardens, Greenbrier Valley Dreamscape will help your dream come true with assistance from their expert designers. How does your garden grow? Very well, if you’re using bedding, vegetable, or perennial plants from Gritt’s Midway Greenhouse in Red House, West Virginia. For over 20 years, Gritt’s has been offering floral shop creations, greenhouse tours, and fundraising opportunities for the local community. They also have a wholesale delivery schedule that covers a five-county area of the state, Kentucky, and Ohio. What started as a produce peddler has now grown into over six acres of greenhouses, including hydroponics that have earned them Good Handling Practices Certification from the United States Department of Agriculture.